There are so many details from Taylor and Adam’s black tie wedding that made our hearts flutter from the second the images landed in our inbox. From the neutral color palette of white, grey and gold to the bride’s stunning Liancarlo wedding gown and extravagant florals by Adam Leffel Productions, there’s no question that you’ll be inspired by each and every detail from this traditional soiree at the Crystal Plaza. Not to mention, you just have to see the suspended, chandelier-style wedding cake the couple opted for. It’s super unique and made for a fun conversation piece. 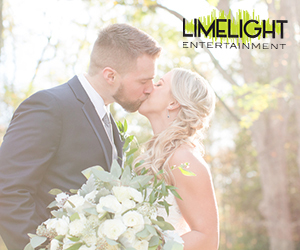 Thank you so much to Allison McCafferty Photography for sharing the wedding photos with us! From Allison…Adam & Taylor’s black tie wedding was absolutely gorgeous. Every detail was well thought out, timeless and elegant. I met with the couple at the Hilton in Short Hills where they rented a large suite for getting ready. Taylor was one of the calmest brides I’ve worked with. Her Mom and sister helped her into her amazing Liancarlo gown while her bridesmaids waited in the other room. The bridesmaids’ reactions were so sweet when they saw her for the first time. Taylor and Adam opted for a first look at the Crystal Plaza. The Crystal Plaza’s grounds are immaculate and made for a gorgeous backdrop for their first look. Their closest friends and family stood by to watch as Adam saw his bride to be for the first time. It was obvious from the day I met them that Taylor and Adam were made for each other and are head over heels in love. Their Jewish ceremony was beautiful, followed by an over the top cocktail hour and a choreographed first dance after introductions. My favorite part of their reception was when Adam surprised Taylor with a rendition of “My Girl” with the band. She had no idea he would be serenading her and her reaction was priceless. I couldn’t help but get misty eyed myself, it was a really sweet and touching moment. The evening concluded with cutting their suspended one of a kind chandelier cake and an amazing spread of bakery sweets at the exit for their guests.